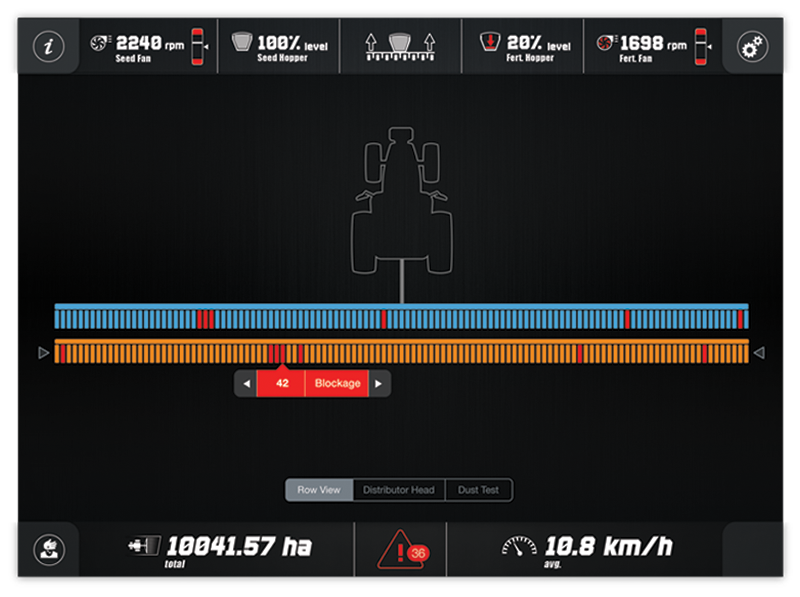 Our intuitive application supplies so much valuable information to farmers, how their seeder performs, as never before. Where can I find it? It’s not a question anymore. 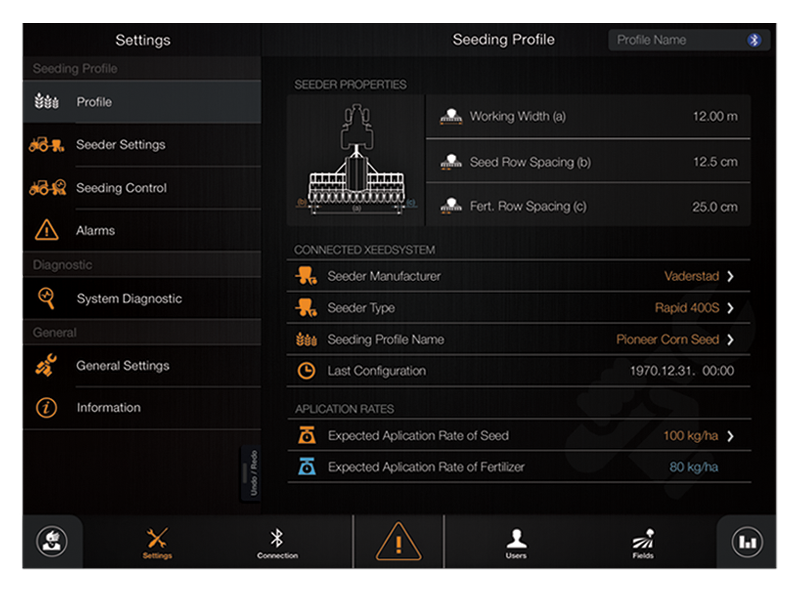 The seed row display helps to identify defect rows, so the operator can return to work soonest. 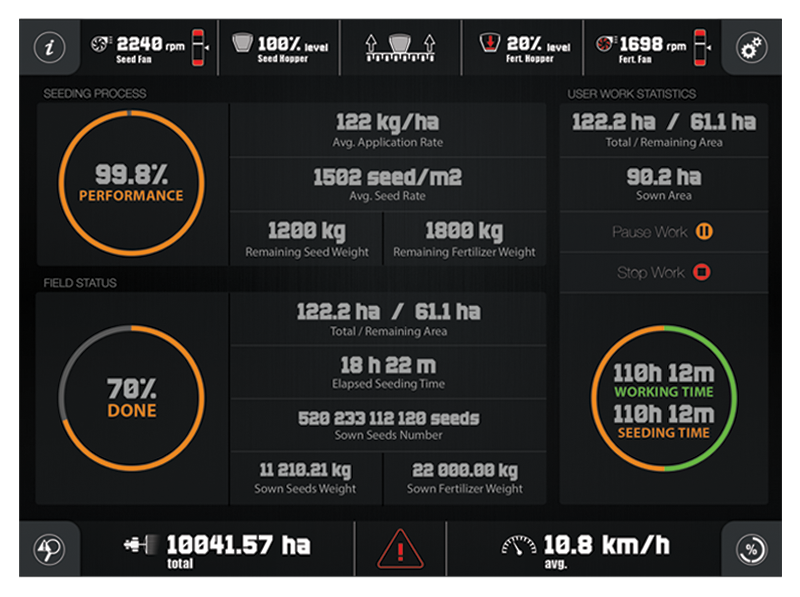 Seeding Statistics – How is your work going? 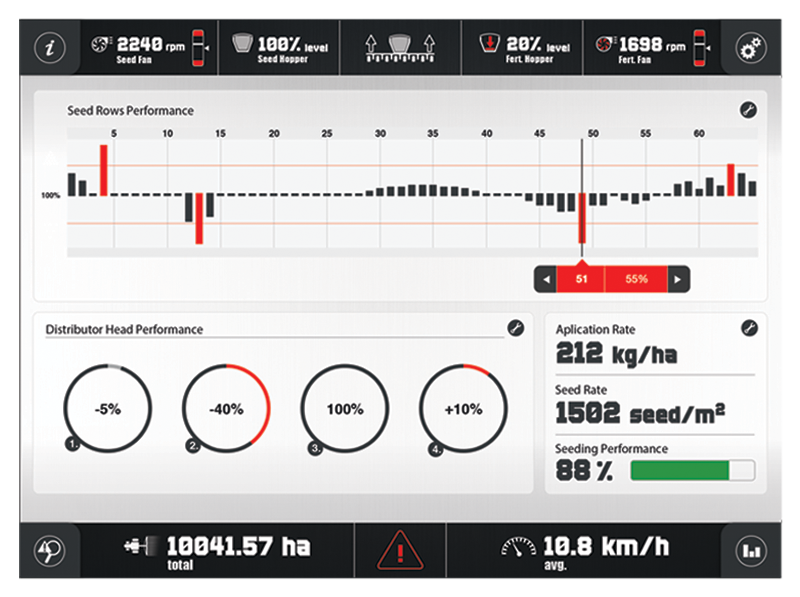 Statistics screen is a collection of the most useful information about actual seeding data. You can see the necessary amount of grain for the rest of the field and seeded area stats. 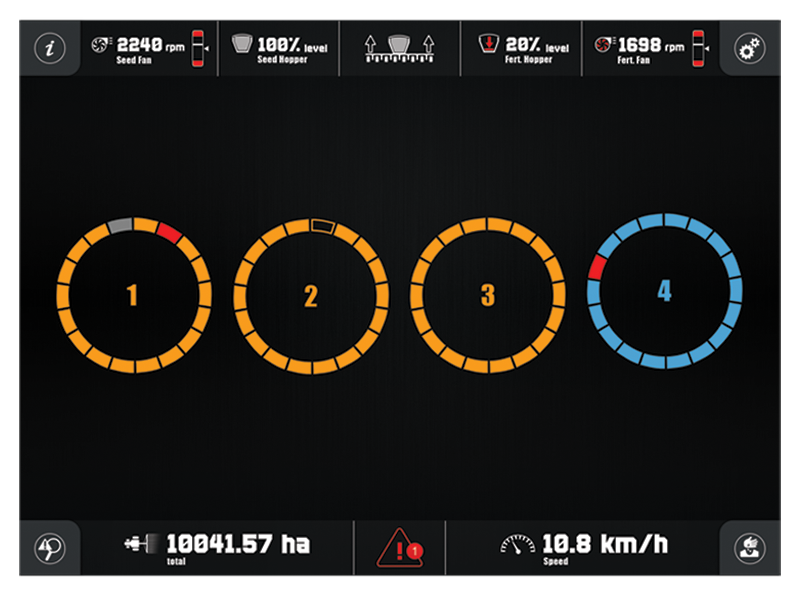 We know seeding is often a nighttime job and how disturbing it is when sharp monitor screen light blinds the operator. This is why our app was designed for comfy nighttime use. Seed or not seed? Blocked or partially blocked? 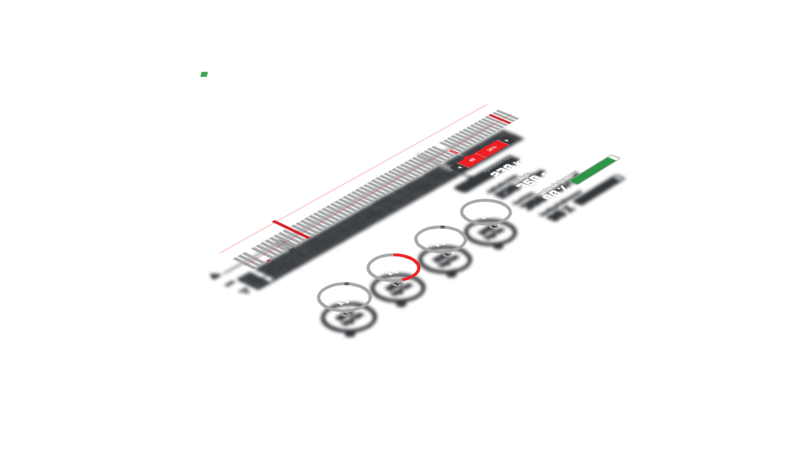 The distributor display offers a quick overview of actual failures and shows shut-off tramline rows. Simple error handling with the Digital System Drawing. If there is any defect in the system, you have no reason to worry. 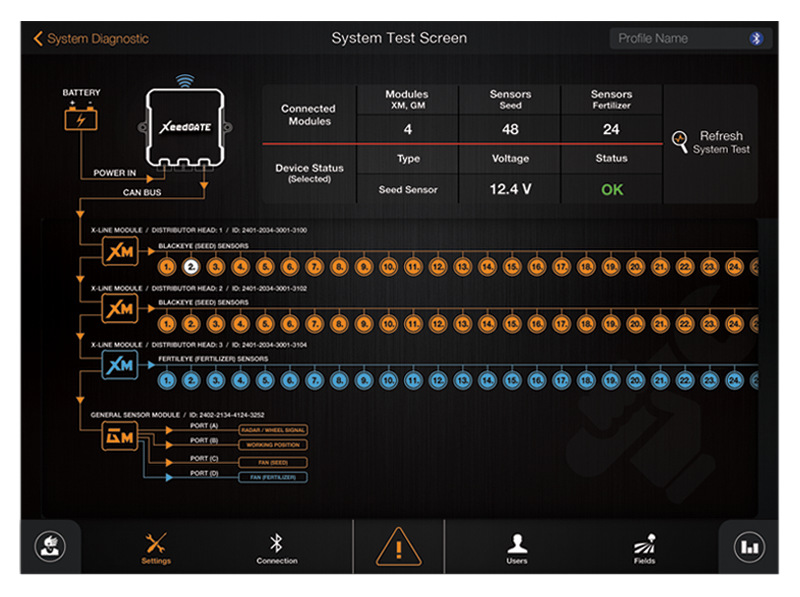 With built-in diagnostic functions and digital system draft troubleshooting has never been so easy. An incredibly easy setup, step-by-step installing. A setup assistant guide you through the first installation process, and later you can easily modify settings in the well-structured menu. Multiuser system PIN protected data. 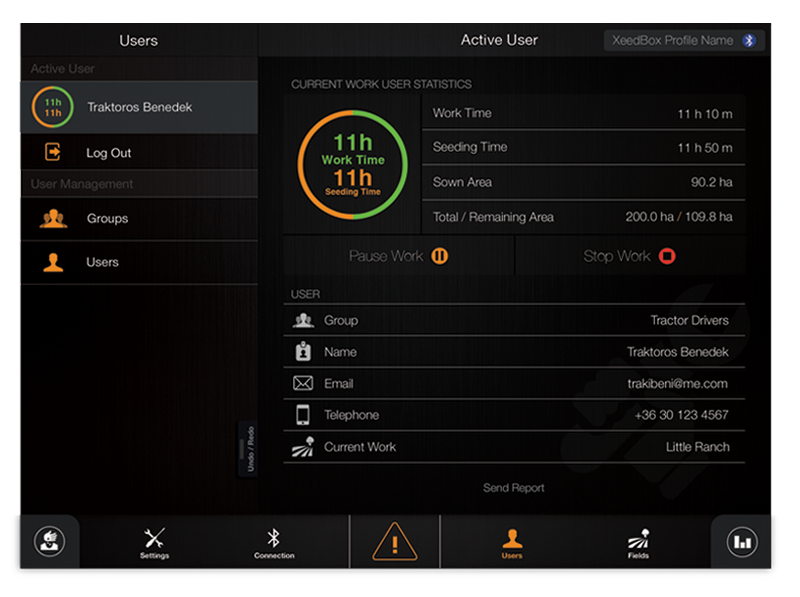 The app can be used by multiple operators safely, each user can be protected with a PIN code and save seeding data and worked hours within their profile. 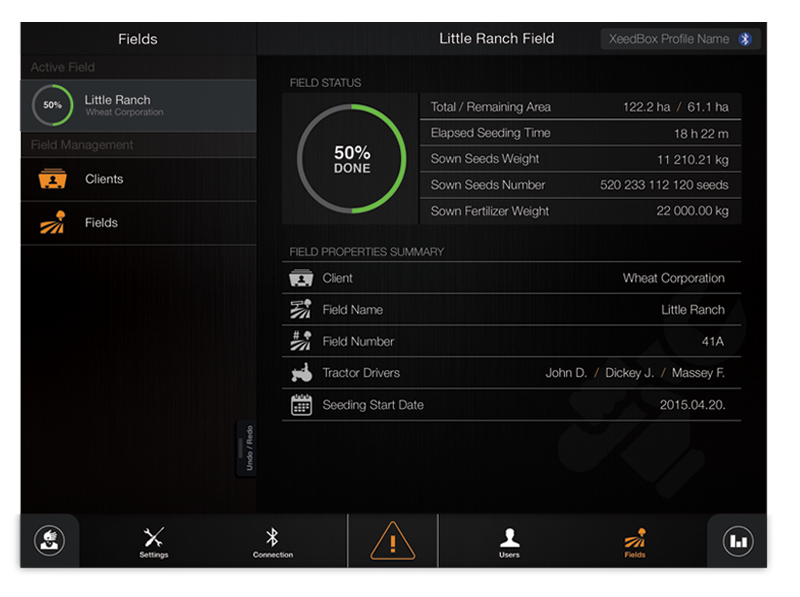 Contract workers can save seeding data by client, client field, and make statistics of it. 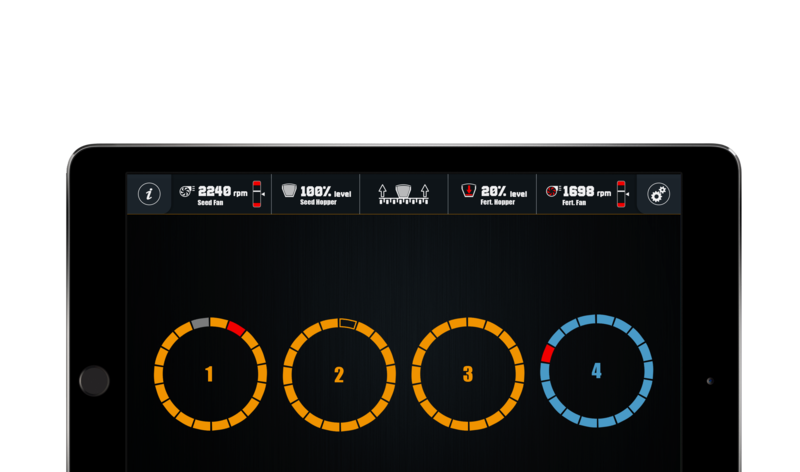 This provides more precise data than ever before.